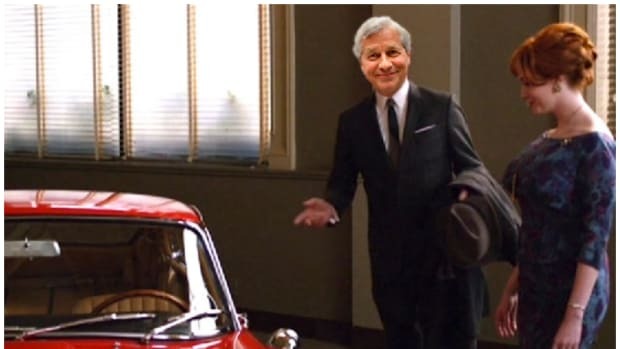 Jamie Dimon Asks JPM Employees: What's It Gonna Take To Put You In This Cherry New Jag Today? Now you JPMers have a way to haul all your Vineyard Vines gear up to the actual Vineyard. Step away from the snacks! CEOs are finally gettin' paiiiid (in cash) again.